One of the biggest mistakes when decorating a small room is to fill the room with overstuffed or large scale furnishings. Smaller rooms and homes require smaller or more lightly scaled furniture. However one large item, a sectional for example will make the room seem more open than with a sofa and two chairs. Keep furniture away from the walls — even a small gap will make a difference in the way a room looks. In any small space, it’s important to not to feel boxed in. Keep colours light and choose furniture with a low profile and clean lines. Pieces with exposed legs add to the open feel as do sofas and chairs with low, slim arms. It is harder to get condo-scaled furniture here, but look for multi-use pieces to cut down on the amount of furniture you need. Nesting tables, extendable dining table, sofa sleepers and even stacking or folding chairs are all very practical. Shiny, reflective and transparent surfaces will visually expand your space. 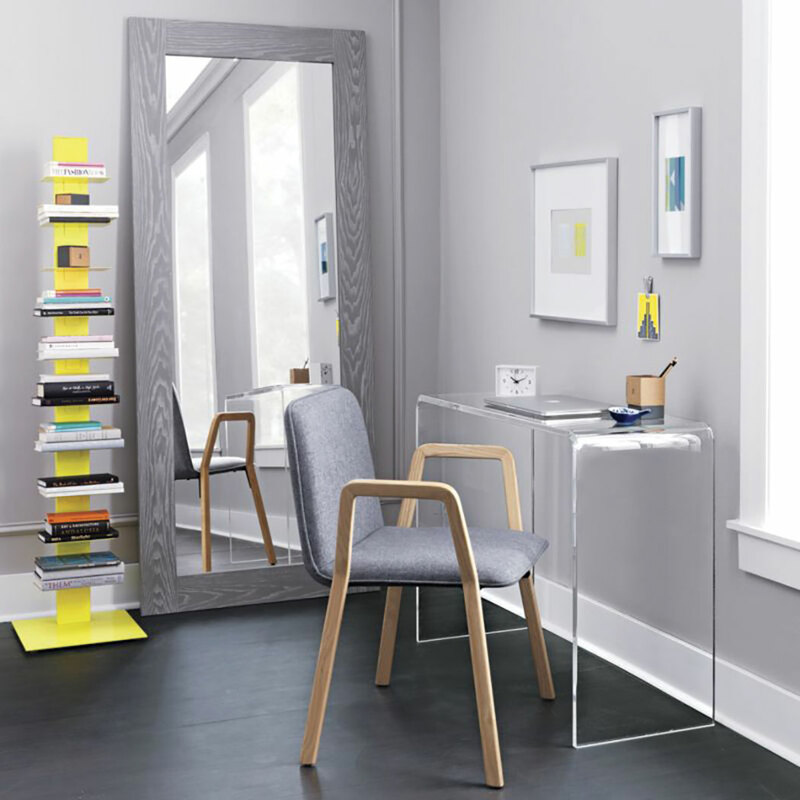 Accent pieces in acrylic, glass or shiny metal will appear weightless and will instantly transform your space. Consider your vertical space. Having tall shelving will give you more storage options and also take up less floor space. It also adds visual height to any room. In open-plan layouts try and define the space by using lighting and furniture groupings to establish separate areas like, dining, seating or office. Open shelving will offer an airy feel and will visually separate areas without boxing them in. 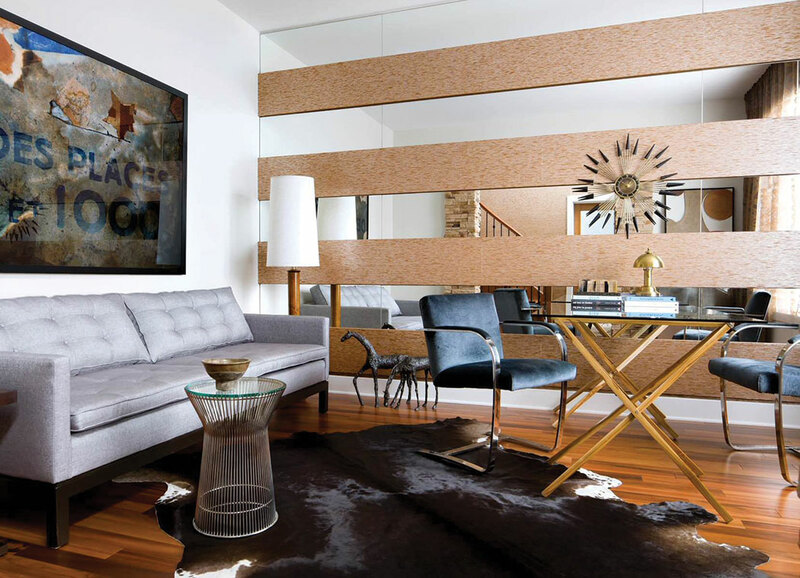 Hanging mirrors will reflect light and add interest to your walls, but consider adding a mirrored wall. Not that dated 80’s look, but try a modern interpretation adding wood. This will add texture and warmth and will visually open up your space. To create the illusion of height and depth, hang curtains close to the ceiling or in the case of vaulted ceilings, high above the window frame – never on it. The longest ready-made panels generally available here are 96”, but if you can find 108” or decide to go with custom ones, they will make a big difference. In smaller spaces hang your drapery panels so when open they clear, not cover the window glass – this will expand what the eye can see and make the room seem more spacious. If you prefer the look of blinds, install them within the window frame instead of on top of the frame, and choose a colour that blends in well with the wall. To add visual height include things like a slim floor vase with tall bamboo or grass, and vertical artwork to encourage the eye upward. Great lighting is always important, but it becomes essential when dealing with small spaces. Allow lots of natural light to enter, and use floor and table lamps to illuminate corners and focal points to keep the eye moving. 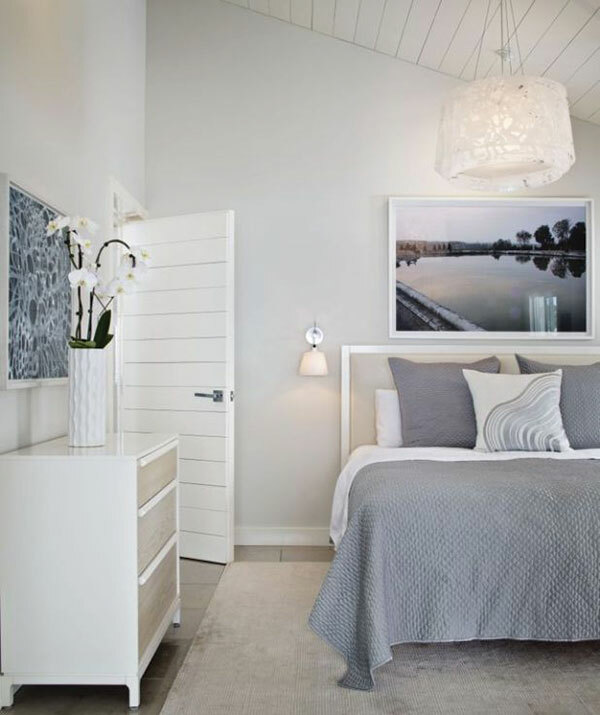 By adding a distinctive hanging light fixture you will draw the eye up and make the space seem larger. Remember that dark colours will seem to advance toward us, and lighter, cooler colours appear to recede. Opt for light coloured flooring to visually open up the space, and in a condo or small house keep the same flooring throughout. Wall colours should be light too, and use accent colours sparingly in small spaces. 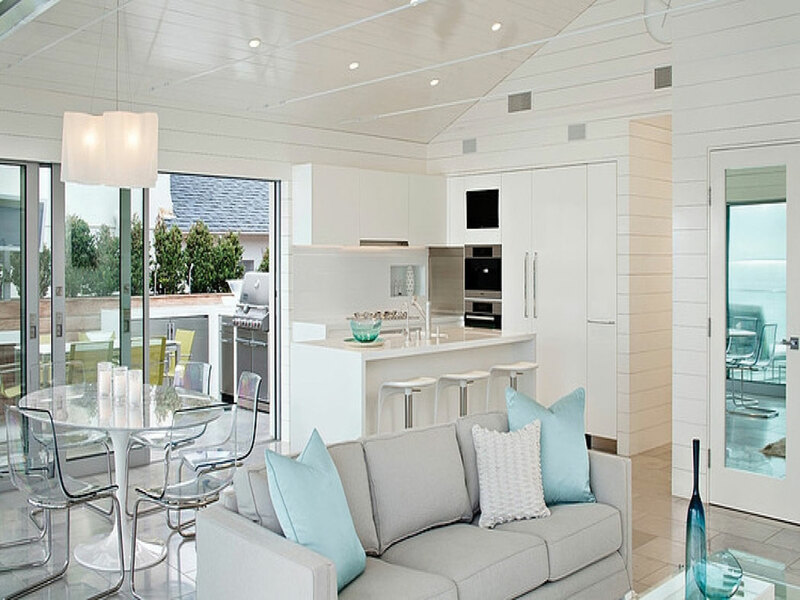 Neutral and monochromatic colour schemes will work best, and using slightly lighter or darker colour values can define spaces and add some subtle interest. Stripes can work well in small spaces because they can be used to create the illusion of height or length. It’s all about fooling the eye. If you want to use some dark or strong colours keep them at or below eye-level. This will help anchor your room, yet still make it feel spacious. Patterns are always popular to add some interest to a room, but keep to the 2:1 ratio. 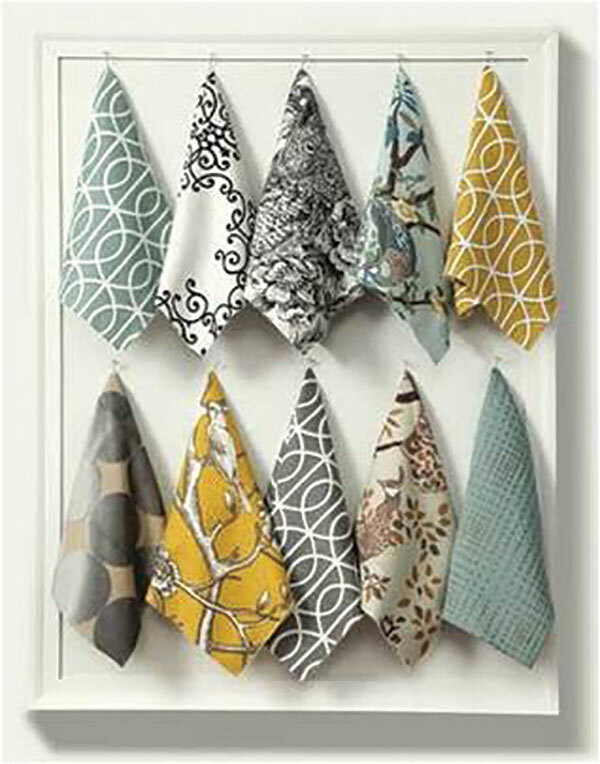 Use two smaller scaled patterns or textures to one lesser used bold pattern and you will not overpower your room. Even if you try to do all the other tips mentioned here, if you do not keep clutter under control, your space will always seem smaller than it is. Master the art of ‘a place for everything’, this will clear your mind as well as your home. I hope some of these basic rules for small space design can help you make the most of your smaller space.